Attention foodies! Have you heard of the Townsend Grits & Grain Festival? This is your chance to savor two of Tennessee's most famous delicacies in one fun night! 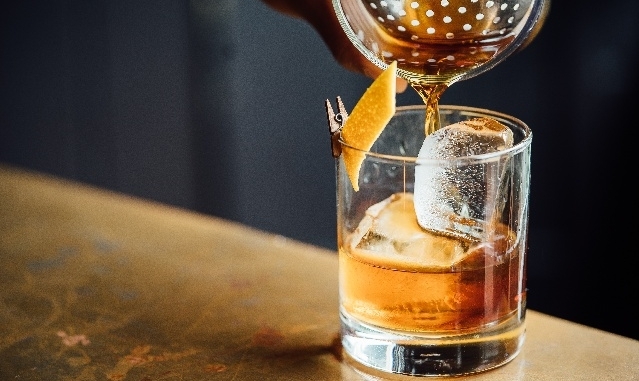 Mark your calendar for November 4th when this popular spirits and food festival kicks off about 15 miles from Pigeon Forge in scenic Townsend, Tennessee. Tickets are on sale now for this one-of-a-kind event in the Smoky Mountains. Combining gourmet cuisine from across the South with craft spirits from Tennessee, Grits & Grain is a fun 21+ event to kick off your Saturday night. Sample small bites of Southern specialties and wash them down with handcrafted whiskeys and ryes. Local chefs and bartenders will be on hand to pour your favorite spirits and answer any questions you have about the food. While you nosh on fabulous food, you can listen to live entertainment. Hit the dance floor to help work off some of those grits! The gates open for Grits & Grain at 6 pm and the fun won't stop until 9 pm. If you plan on getting tickets, take a look at our Tennessee hotel near Dollywood and the Great Smoky Mountains. Specializing in Southern hospitality, our Pigeon Forge accommodations feature a complimentary continental breakfast and free high-speed Wi-Fi. Before you head out for the Grits & Grain Festival in Townsend, you can take a dip in our indoor pool or relax in our sauna. Click to see all of our valuable hotel amenities for your next vacation or business trip.